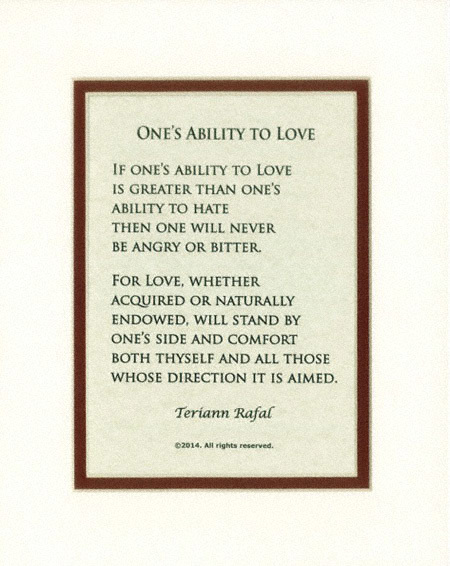 Poem, “One’s Ability To Love,” is a call to remember that love is the most powerful force in the universe. 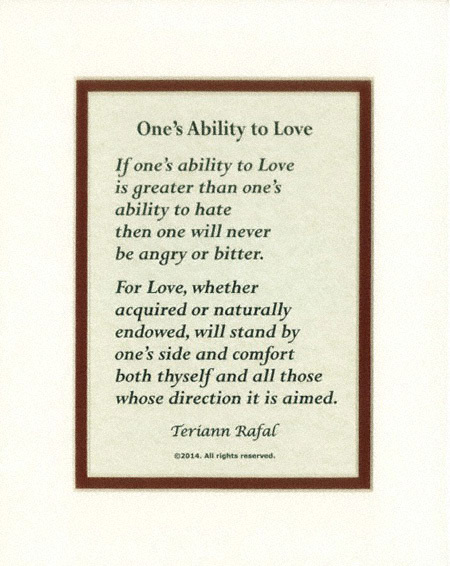 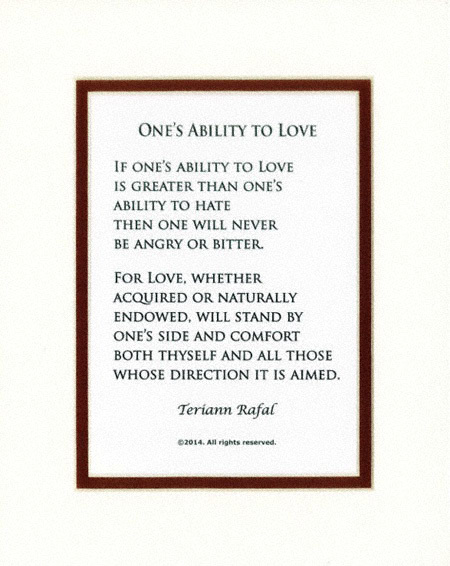 This love and unity poem makes a perfect gift for oneself, or others reminding us of what is most important in life. 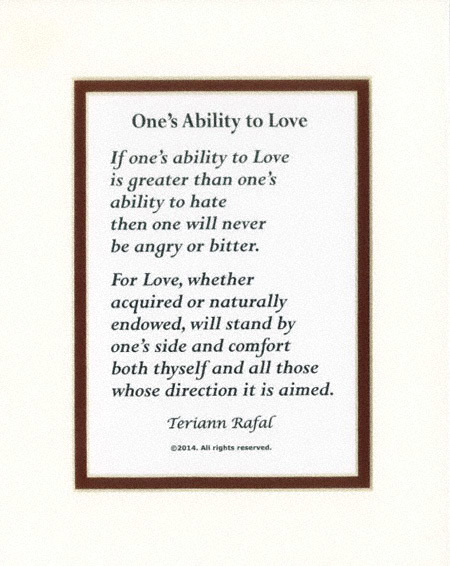 It comes double matted in ivory with a burgundy inner core that complements any décor, and fits in any standard 8×10 inch frame.